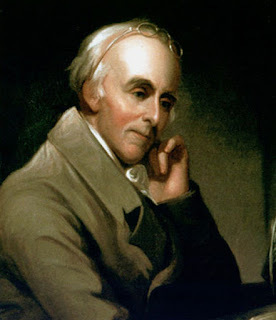 Today would be the birthday for Dr. Benjamin Rush, a little remembered man who was one of the Founding Fathers of the United States. Dr. Rush signed the Declaration of Independence, served on the Continental Congress, opposed slavery, opposed capital punishment, and helped mend fences between Thomas Jefferson and John Adams. He also was a writer, a physician, an educator, a humanitarian, and a professor of chemistry. I urge you to take a few minutes today and learn a bit more about this person who influenced history itself. In our second "Huzzah" for the day, Malala Yousafzai has recovered from her gun shot wounds to be discharged from the hospital. Malala is the young, 15 year-old girl from Pakistan who wrote about life under the Taliban, including how she just wanted to go to school. The Taliban responded not by offering her a desk, but by shooting her in the head. Luckily for Malala, the Pakistan government flew her to Great Britain to recover. Before you misunderstand me, the lucky part is the Pakistan government recognized that the Taliban had a better chance to shot her again if she remained in Pakistan. I think she would have recovered medically at home; she just would be more of a sitting target. Actually, let's send up another "Huzzah!" for the Pakistan government, who gave Malala's father a job at the Pakistan embassy in Birmingham, Great Britain, so that he can be with his daughter. The government also made Malala an education attache, allowing her to live abroad for at least 3 more years. Goodbye and Good Riddance, Wegelin & Co.
Wegelin & Co. is a private Swiss bank that will be closing their doors after more than 250 years in business. Why? Because they lost in court to the US government, publicly admitting that they have helped American citizens avoid taxes to the tune of $1.2 billion dollars over the past decade. Yes, that is billion with a b. Now, what really bothers me about this case isn't the closing of a private Swiss bank. They knew exactly what they were doing, so I'm fine with them now facing the consequences of their actions. What bothers me is that at a standard 30% tax rate, the U.S. government should have collected approximately $400 million dollars over that decades worth of time. Instead, the bank is paying a measly $57.8 million in restitution and fines. The government may get the names and account balances of those people who used the bank to evade taxes, and maybe we'll get the back taxes owed. But doing that costs money as well, so I wonder how much the government will net in the end. 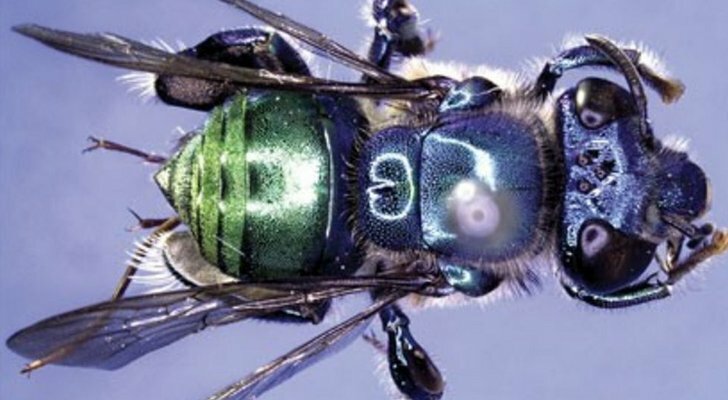 Last week, a Brazilian biologist named Andre Nemesio named a species of orchid bee after Sheldon Cooper's favorite phrase, "Bazinga". Sheldon Cooper is a character on the T.V. show, "The Big Bang Theory". I admit, I only started watching the show recently. But I love the characters on the show, the geeky humor, the social diatribes, and...well, just about everyone and everything about this show. I wonder if they'll include the new bee species on a future episode??? Welcome to Russian, Mr. Depardieu and Ms. Bardot! If you think we have debt problems, look around you. France has its own problems with its economy, so much so that it tried to pass a law that taxes anyone making over a million dollars a year at a 75% tax rate. Yes, they want 3/4 of a person's income if that person makes over $1,000,000 a year. In protest to this law (which I think has been struck down by the courts), Gerard Depardieu became a Russian citizen. While he doesn't mind paying taxes, Mr. Depardieu feels the country should not penalize successful people. But the bizarre turn in this story is the addition of Ms. Brigitte Bardot. Since her retirement in the 1970s, Ms. Bardot became an animal rights activist. She's protested about sacrificial slaughtering of sheep, set up an animal rights foundation, and gotten herself arrested no less than five times. Currently, she's upset because the government wants to kill two elephants that carry tuberculosis, and Ms. Bardot is threatening to join Mr. Depardieu in Russia as a citizen. Wow. I don't know where to begin. I agree with Mr. Depardieu. While I think the 10% that successful people pay over here is too low, 75% just seems ridiculous. I mean, at some point every dollar you earn nets your less than a dollar with that type of tax scale. But the elephants? I believe in animal rights, but a sick elephant is a sick elephant. If the animals are in pain or otherwise going downhill, why not put them out of their misery? Even if the elephant hasn't reached the stage of pain yet, if it is contagious and could pass tuberculosis on to humans, why take the chance? This is a particularly nasty illness, and the last thing that any country needs is more tuberculosis. I love reading your thoughtful and insightful (and often funny) Freaky Friday posts to end my week with! Yeah, how about a reasonable number for taxing millionaires and billionaires? Somewhere between 10 and 75 would work. Goodness.